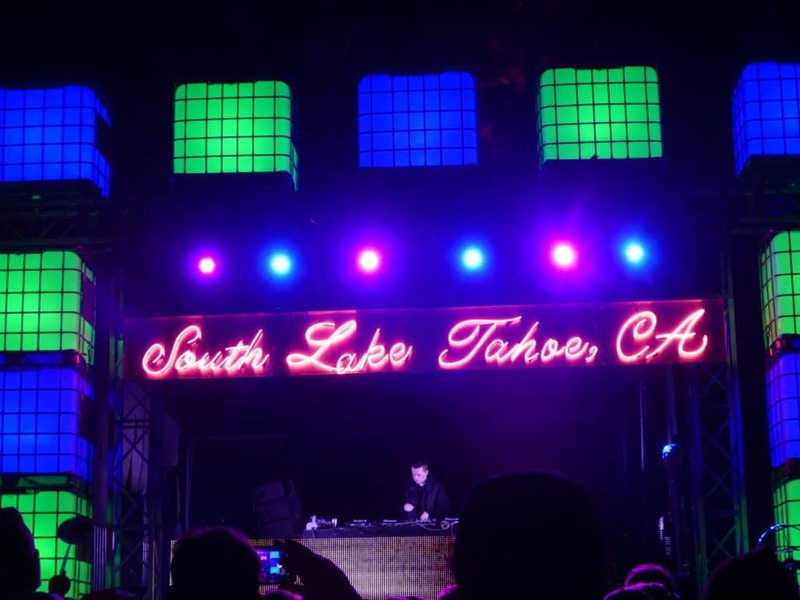 To ring in the new year, I decided to attend the widely popular Snowglobe Music Festival, held in South Lake Tahoe, California. It is held outdoors at a scenic venue surrounded by redwoods and snowy ski slopes. The lineup is stacked with chart-topping artists every year, this year including Rezz, Above and Beyond, Shoreline Mafia, Kaskade, and Big Gigantic just to name a few. The main stage is massive, centering the festival with two smaller stages sprinkled throughout (one even being indoors). 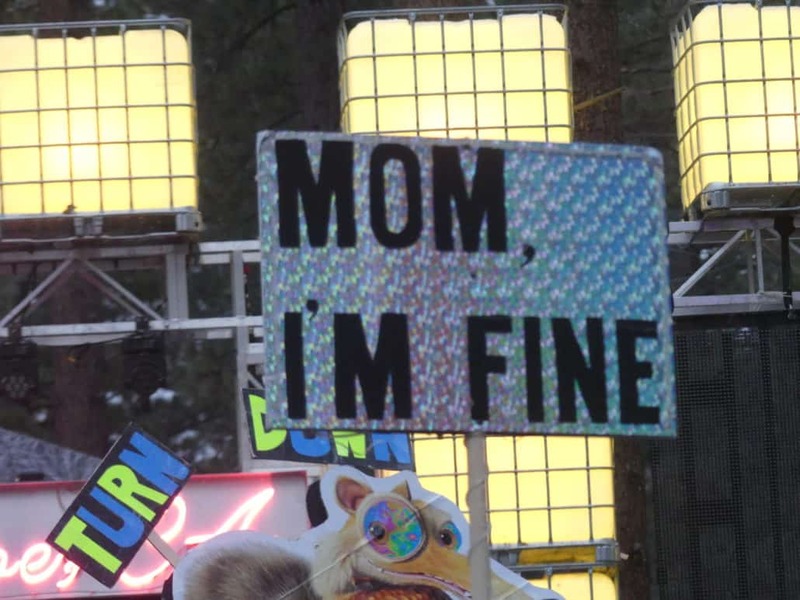 Although this festival was so aesthetically pleasing with the natural beauty of Tahoe, my overall experience came to rate at 6/10. This is my second time attending Snowglobe, my first being NYE in 2016 with Odesza closing. It was one of the most fantastic sets I’ve ever seen, and everyone around me seemed to be in a unified feeling of absolute joy. This year was a different feeling, considering I had now attended all three days. It was also much colder, with the New Year’s Eve temperature dropping to about 10 degrees Celcius. To get in was quite smooth this year, with metal detectors being added and extra security lines making entrance a breeze. Leaving was a bit distraught, with many people not knowing where they were going and almost slipping on black ice on their way out. The shuttles were also pretty smooth, the only negative part was that even though I paid $50 for my shuttle pass they were not checking wristbands and were letting lots of different people on, which felt like a bit of a waste. There are three stages at Snowglobe: You have the Main Stage, which showcased the big headliners and closers. 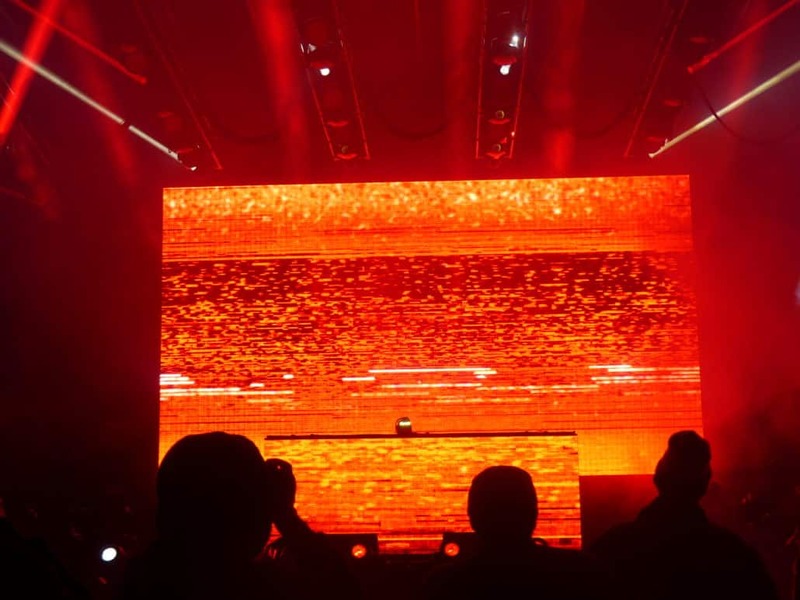 Then there is the Sierra stage, a smaller but beautifully set up stage with LED blocks surrounding it, bringing out the bass-heavy artists all three days. The Igloo was definitely the most popular as it was an indoor tent that played mostly house music, and was spilling over capacity once darkness fell. The benefit about the venue was that it was small, so it was easy to travel between sets without missing much, as well as constantly having music to dance to. You could even watch the Main Stage act from the Sierra just in case you were about to miss your favorite headliner. If you needed a break from all the festival madness, there was a giant tent sponsored by MTV with an open bar and chairs for people to lounge in, with the feel of a ski lodge. It was well set up during the day, but by nighttime when the temperature dropped it very quickly became overcrowded and most people inside ended up sitting on the floor next to the giant heating vents. I hope next year they improve on making more of these heated break areas available and to make the Igloo tent larger, as it was obvious that between sets most people were just looking for a place to sit down that wasn’t in snow. Saturday had a great lineup to open this festival with. I had just got there in time to catch Kaskade, who mixed many throwbacks with new tracks to get the night going. After was Big Gigantic, which was my personal favorite set. They include live instruments in their performance, playing a great mix of electro-funk tunes that any person of any age can enjoy. 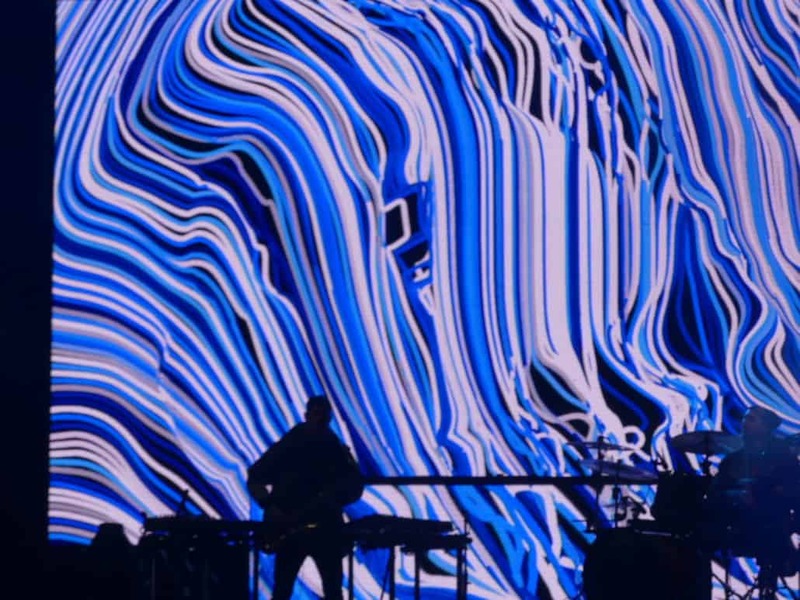 Their visuals were also top notch, going in tune with the music. I also checked out LP Giobbi in the Igloo, a high-energy DJ that brings lots of groovy house tunes to her decks. She is also a part of Sofi Tukker’s collective Animal Talk, and played at their after party that night. She was definitely a great new find for my playlist. We ended the night going from Eric Prydz into Rezz, which was a huge crowd switch. 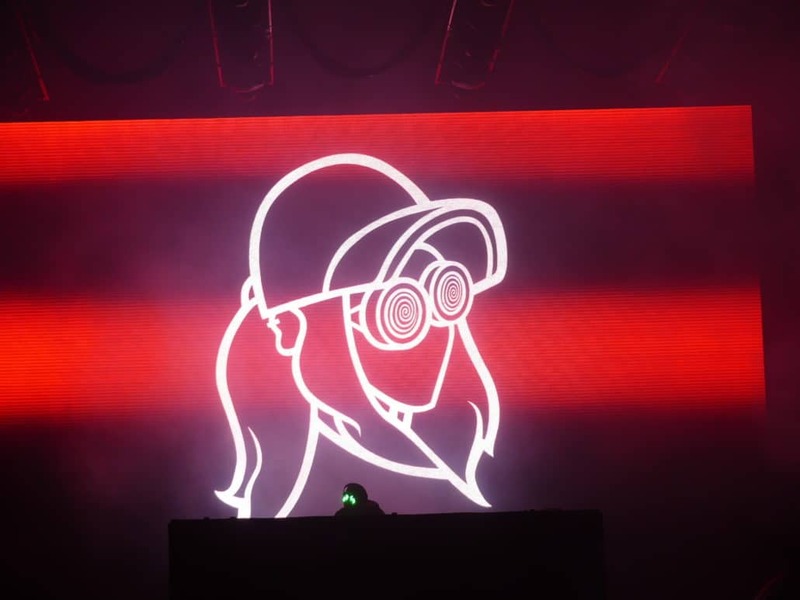 Rezz brought a really heavy set, and it was fun to see her die-hard fans lose their minds over it. 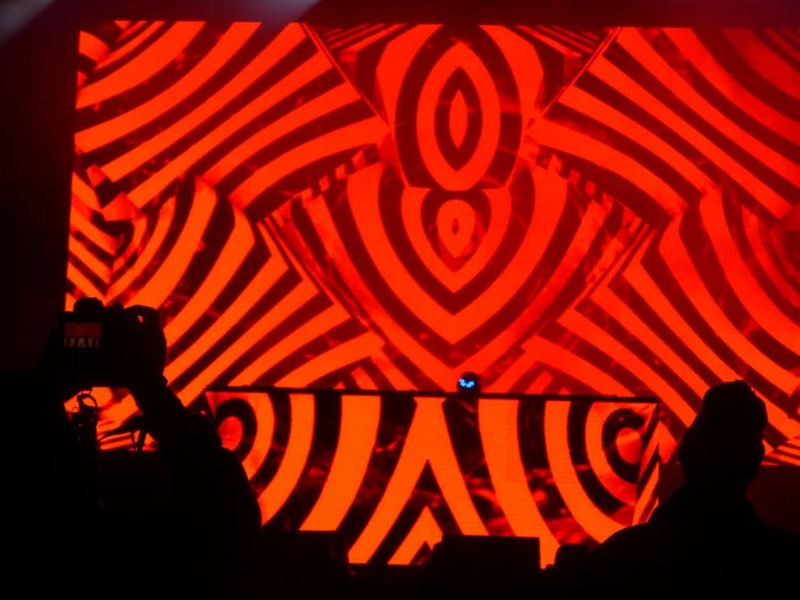 Her visuals are based on hypnosis, which also caters to her deep and dark tracks that add a unique twist from the average musician. 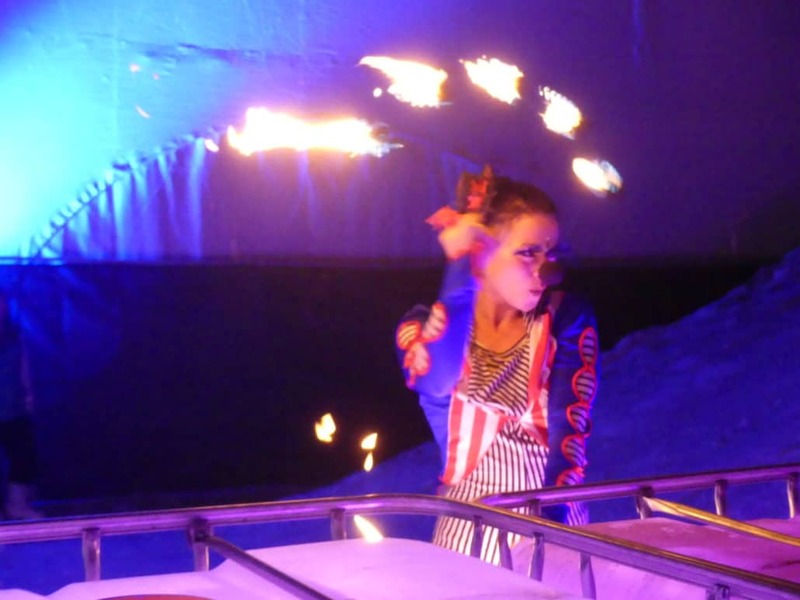 The image of her tiny body behind giant hypnosis glasses playing behind a massive stage setup with pyrotechnics blasting out of the stage was a really inspiring sight to see – the true definition of small, but mighty. On Sunday, my crew started the day off with Baauer, a Snowglobe favorite. I had seen him 2 years before on the same stage, and still gave a whole bunch of energy despite having a fairly early set. Following him was Tyga, who played many of my favorite songs that used to play at my high school dances – a fun nostalgic set for sure. Cue pyrotechnics during ‘Rack City’ – I will never forget it. After his set, I made it over to the Igloo to catch J. Worra, who played some funky house tunes just before Sacha Robotti. I had made a bathroom break between sets, and when I came back for Sacha, the entire Igloo had filled up. Although I had to watch Sacha from the back, his set was beyond impressive, bringing in fans from all house subgenres together to dance. My favorite set of the night was Sofi Tukker (you can also peep my interview with them in a different article, whose infamous energetic stage presence took the festival to a whole ‘nother level – within the first three minutes, EVERYONE at the Main Stage was jumping in unison to their DJ set. Even though they usually include live instruments during their sets, their DJ set was just as impressive, playing their hits like “Best Friend”, a sped-up version of “Drinkee” and many tracks off their Grammy-nominated album, Treehouse. The rest of the night features sets from RL Grime, Chris Lake B2B Walker & Royce, Sam Gellaitry (who I had also seen 2 years before), and ending the night with Ekali into Diplo. An overall super high energy day. The last day was my favorite, not just because it was NYE, but the sets put on by the artists I got to see. 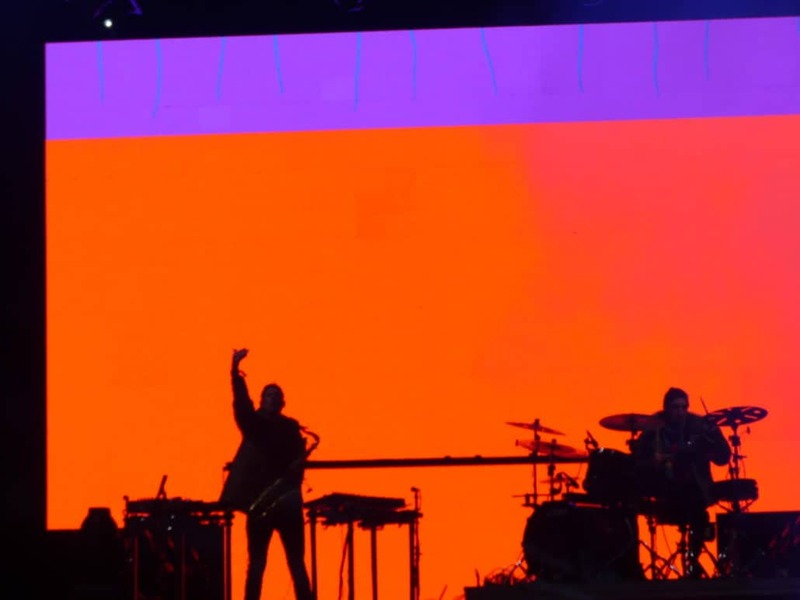 Although by the third day the venue was much more hazardous with the slush being turned into black ice and the overcrowding of any area with heating, the music kept the positive energy flowing throughout the night. My top artists of this day included Gorgon City (it was just one of them) who threw down a great mix that had both a bunch of their famous old tracks as well as brand new releases from their recent album. I also put Phantoms (although I could only hear their set from outside the overflowing Igloo), Medasin, and Slumberjvck on my favorites list. At the Sierra stage, CRAY brought everyone moving to the dance floor, switching from non-stop banger to non-stop banger. It was only to the end of her set where she played her more familiar chill tracks (you can learn more in my interview with her also posted on the blog), and was very interactive with her fans which was heartwarming to see, even coming down later to take pictures with them. Charlesthefirst brought a great melodic bass-heavy performance, including some stuff from his new album, The Ascent. Being only 23, his musical talent is impressive and is going to be doing his first headlining tour soon. Being a Tahoe native, his crowd was filled with many supporters and locals who knew all the good music. Ringing in the New Year was the UK power duo Above and Beyond, who gave a nice dosage of trance music to end the night (including a deep remix of Sun and Moon) – starting the countdown with Blue Sky Action (my personal favorite song). The fireworks went on for 30 minutes, and everyone left with some shine in their eyes. Above and Beyond was a great choice for a closer. Overall, the music was great, with some well renowned artists and even some of the lesser known ones that I fell in love with. Although the venue was not ideal, the concept is worth trying and it all takes a little bit of preparing (3+ layers AT LEAST to be comfortably warm). The staff was super friendly and made sure every attendee was having fun, making the festival even more enjoyable. There are still some improvements to be made, but overall Snowglobe 2018 definitely becomes one of my most memorable festivals I’ve attended. Tickets for 2019 go on sale soon! You can hear DJ Fizzi Pop’s radio show Soundwave Sanctuary only on KZSC Santa Cruz 88.1 FM, Fridays from 4-5 PM. DJ Fizzi Pop interviews Cray at Snowglobe. DJ Fizzi Pop interviews Sofi Tukker at Snowglobe. next post: DJ Fizzi Pop Interviews Sofi Tukker!